In 2018 TransformELT provided a consultancy for QLS, an association of 31 private language schools in Greece. QLS were seeking an innovative approach to curriculum renewal that would energise their teachers, motivate their young learners and give them a distinctive place in the Greek language teaching market. 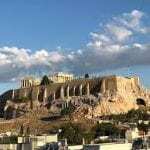 Alan Mackenzie and Alan Pulverness visited Athens in February 2018 for extensive discussions with QLS Directors and observed classes in a number of schools. On the basis of this scoping visit, TransformELT produced a theory of change and full project proposal, which was revised and refined in the light of further discussions at IATEFL and Eaquals conferences. The final proposal was predicated on teacher involvement as a foundational stage of a comprehensive scheme of curriculum renewal. A teacher survey was designed in order to identify a core group of curriculum ‘champions’ with whom we would co-create an approach to methodology based on engaging songs, games and interactive classroom activities. The approach would then be cascaded by the curriculum champions using videos of its implementation as a basis for peer training. The training would be organised around a number of content-based projects, drawing on existing content in the most commonly used teaching materials. Transform ELT has been helping our Network of Language schools reform the syllabus for our classes. The task was a daunting one for our schools and school owners. We knew what we wanted to do but we didn’t know how to go about doing it and how to plan the steps leading to the final change. Transform ELT performed class observations which captured and reflected our existing method and provided us with a carefully thought Action Plan to follow. The plan was a complex, detailed pathway to guide us to the desired outcome. It included all aspects of teaching such as syllabus design and teacher training. The people in Transform ELT immediately understood the situation and made an analysis of the weakest as well as the strongest points of our Network thus enforcing existing best practices and altering disfunctioning teaching practices. We strongly recommend Transform ELT as excellent professionals in International ELT.